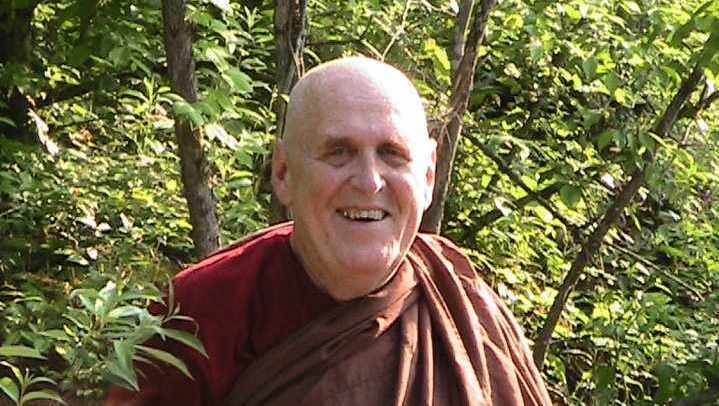 St. Louis Insight Meditation Group will host visiting teacher, Venerable Vimalaramsi, on Sunday, July 22, 7-8:45 pm at Big Bend Yoga Center, 88 N. Gore, Webster Groves. The title of his talk: What Is Meditation? Ven. Vimalaramsi (Bhante) has practiced meditation for more than 37 years and was ordained a Theravada monk in 1989 in Thailand. 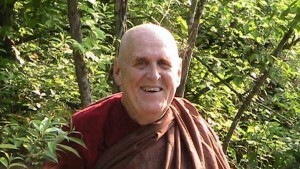 In 2005, he founded Dhamma Sukka, a monastery and meditation center in Annapolis, MO, about 2 hours south of St. Louis. There he teaches a style of meditation called Tranquil Wisdom Insight Meditation (TWIM). By studying the teachings of the Buddha (suttas) directly, Bhante found the elements of the 4 Noble Truths, the 8-Fold Path, and the impersonal process of Dependent Origination to be the core of the teachings. In his studies, he realized that the word sutta meant “thread” and that these threads together create a finely woven cloth. Through this understanding and his own objective experience, the 8-Fold Path began to come alive with full meaning. This event is open to everyone. Donations collected will benefit the Dhamma Sukha Center.